The last week of July has come and gone, and everyone is getting ready for that back-to-school wave, what with deals with school supplies and college students beginning to move into their dorms or apartments. 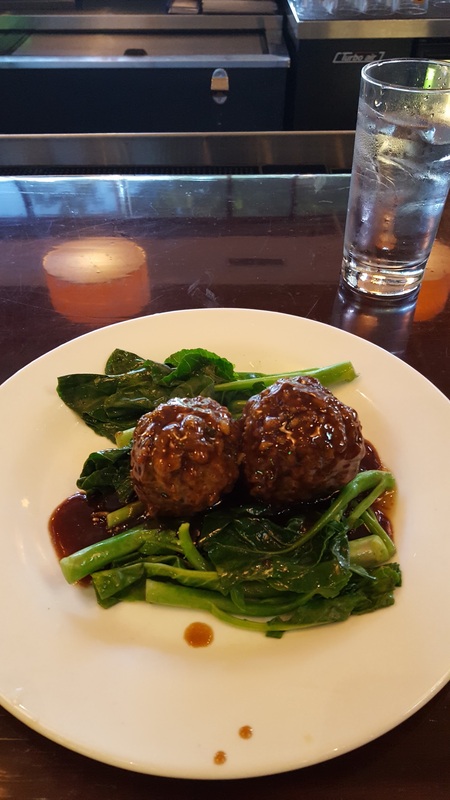 However, though the heat wave is still among us, there’s still a little bit of time to explore the hidden depths of restaurants before school starts, such as David’s Dumplings & Noodle Bar. 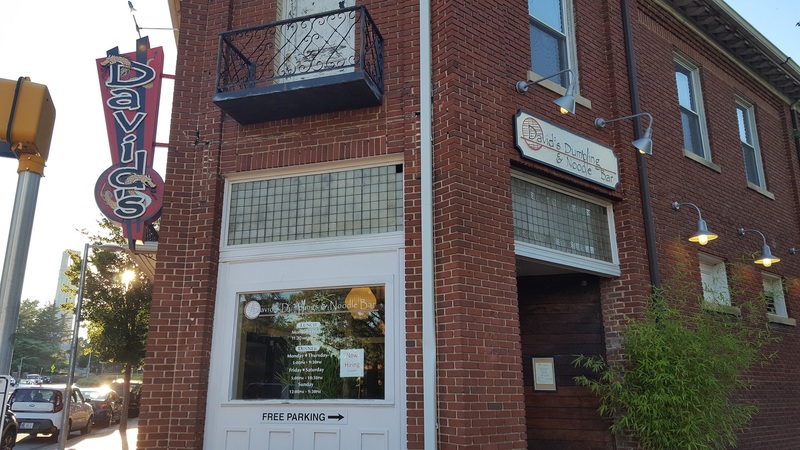 David’s Dumpling & Noodle Bar is on the other end of Hillsborough Street heading towards Downtown Raleigh, next to Liquid State. The restaurant had a mellow atmosphere, with a bar in the middle and tables surrounding it. It was very minimalistic but had a few cool artwork pieces here and there on the walls. When I entered, I was given the choice between the bar or a table; I chose the bar. 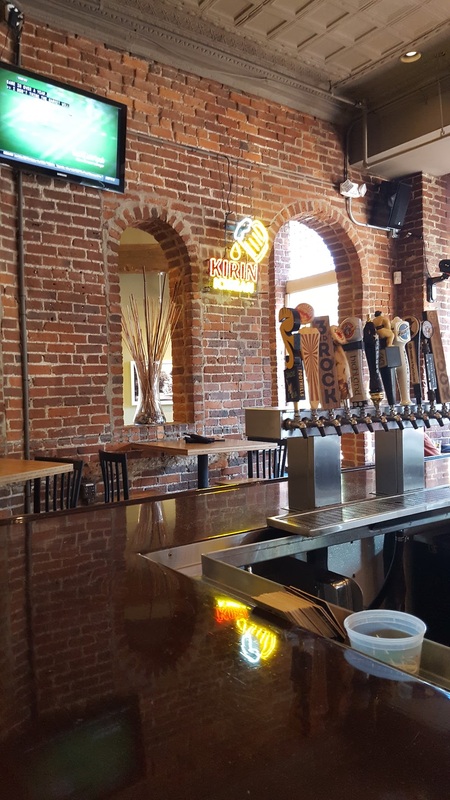 I noticed that they had a few draft beers, most of which are local or North Carolina-made. They also had an extensive beer, wine and sake menu for those who want to have a taste of Asian alcohol. Since their name consists of the words dumplings and noodles, I anticipated to find a variety of choices in those categories, and I was not disappointed. There were so many noodles dishes, from the familiar udon and pho noodles to the unexpected cha chiang mein. The dumplings were mainly in the “small plates and appetizers” section, but I did see that there were a few others spread throughout the menu. I ordered the Lionhead infilled Scallop with Chinese Baby Broccoli. The food came out pretty quickly, but I’m sure that for the noodles it would take a while longer due to preparation of the broth. The presentation of the dish was simple but elegant. There was a lot of brown garlic sauce atop the broccoli and meatballs, which were pretty big. When I broke the pork meatball in half, I found the scallop inside like a prize. The meatball combined with the baby broccoli and sauce tasted incredible and I felt quite full afterwards. David’s Dumpling & Noodle Bar is definitely a place to visit for its great hospitality and unique menu theme!